...And back in NY because the weather was so nice last week and we wanted to enjoy more of the "Springtime in NY". There are pops of white, pink blossoms all over and this time, we capture some spring flowers in my photos: tulips and daffodil on this beautiful Perry Street. So freaking stunning, I love the vintage dress! It fits so well on you! The pictures are so darling, very Carrie Bradshaw-esque! Amazing dress and the whole outfit! Thank you very much Eni! 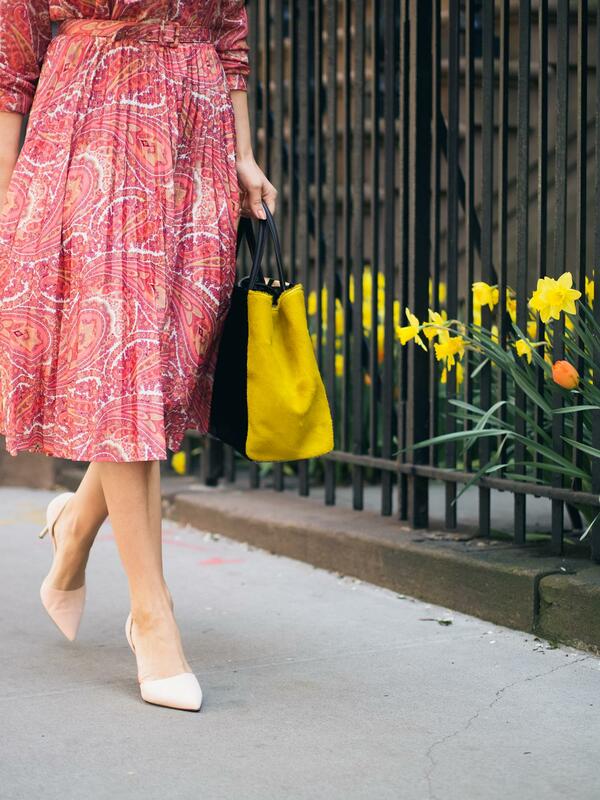 There’s no better time for me than spring in NYC! I love your vintage dress! It’s gorgeous. So True Jo! NY is wonderful in Spring time! I like how your look evolves from the beginning of this blog. I follow you for three years now but I have seen each single post you published, as you astonished me so much with you taste for mixing colors. This is probably your artist sensitivity that guides you a little. Anyway, that vintage evolution really pleases me … Have a nice day.